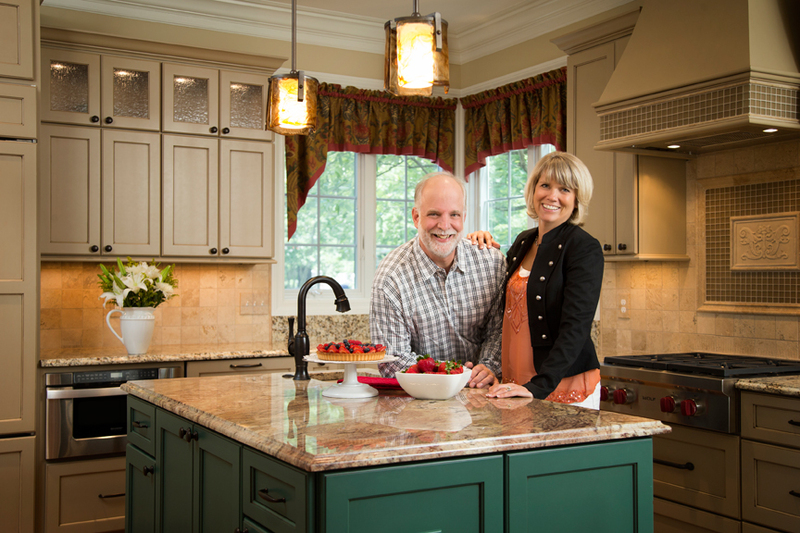 Dana and Diana Dunbar of Lorrien Homes talk remodeling realities. Lorrien Homes & Remodeling builds new homes and renovates existing homes, including home additions, kitchens, bathrooms, lower levels, wine cellars, outdoor living spaces, decks and complete redesign/rebuild of existing homes. SLHL: When is it time to remodel? Lorrien Homes: The answer to this question is dependent upon your goals and motivations. For example, in a kitchen remodel, write down each motivational factor that is important to you. Is your kitchen falling apart? We love to cook and the layout doesn’t meet our needs. We love to entertain and want to open up the kitchen. Now that you have your list, evaluate which motivations are most important and relist them in priority order. SLHL: How do I determine a budget for my remodeling project? Lorrien Homes: The main objective is to determine an amount that does not strain your financial resources but is adequate to achieve the goals for the remodel. First, establish a ballpark budget to get a handle on how much your remodeling dreams will cost. Next, get competitive bids. Write up a description of the project, sketch out your thoughts and list finish details. By specifying details up front, you ensure that prospective contractors are all pricing the same items in the itemized bid. Finally, set your priorities and trim your budget. Most often, your dreams and budget are not in alignment. Carefully scale down your dream. You’ll still end up satisfied and solvent. Enlist your contractor for suggestions on cutting costs. SLHL: Why hire a professional remodeler vs DIY? Lorrien Homes: The decision to hire a professional versus doing it yourself really comes down to your skill set, knowledge base and time frame for completing the project, which most people don’t have. Professional general contractors and subcontractors bring the following to your project: 1. Existing relationships with engineers, architects and designers. 2. Experience in dealing with municipal building officials and inspectors. 3. Expertise in construction methods and management. 4. Knowledge in working with construction drawings. 5. Reliable and reputable sources of construction materials. 6. Knowledge of residential construction codes. SLHL: What is the best way to ensure an addition will blend into my existing home? Lorrien Homes: Hire a general contractor and architect that are both well versed in the type of remodeling project that you are looking to execute. Their experience will ensure the addition blends. The new exterior finish materials should match up with the existing. It is equally important that the interior moldings replicate the existing. Avoid the telltale sign of a room addition remodel by eliminating step-downs or the use of large floor reducers, which are used to transition the new wood flooring to another floor of a different height. SLHL: How can I make sure my remodeling project is finished on time and on budget? Lorrien Homes: Plan, collaborate and communicate! Don’t rush through the planning process. Once you have a final plan, a solid project cost can be determined and the contractor can prepare the construction timeline. A design book with all details of the project should be at the job site for reference during the construction phase. At the end of each day, meet with the contractor for an update on what transpired that day and review any actions that need to be finalized. By calling your contractor’s previous clients for references, you can select a contractor that has a proven track record for completing projects on time and on budget.